What is the best Playa del Carmen to Cozumel Snorkeling Tour? Playa del Carmen and Cozumel are two popular holiday destinations in Mexico. They are close to each other – Playa del Carmen is located on the Yucatan Peninsula while Cozumel is an island situated just 30 miles off the coast. It takes less than half an hour to reach Cozumel from Playa del Carmen. The fact is that these places are attracting thousands of tourists every year. There are many things that tourists can see and do in this area. First of all, they can find some great beaches. Also, they can go shopping, taste traditional Mexican cuisine and check some archeological sites too. Of course, many people use both Cozumel Island and Playa del Carmen to practice water sports. From surfing and parasailing to diving and snorkeling in playa with your family, this area guarantees a good vacation. We will use this article to compare snorkeling in Playa del Carmen and snorkeling in Cozumel. Why our visitors prefer Cozumel Snorkeling Tours from Playa del Carmen? 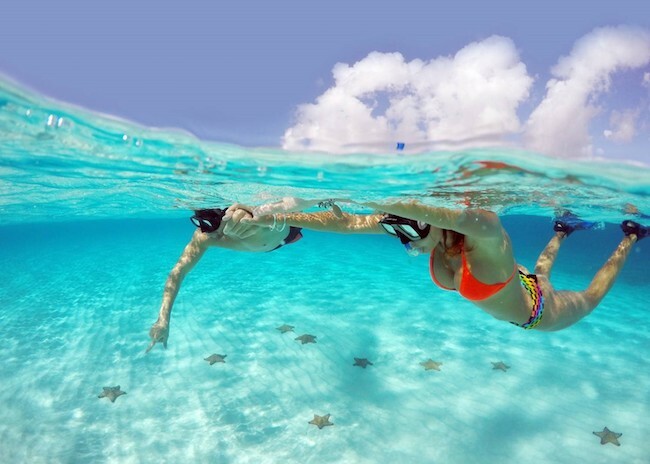 If you do some research, you will notice that most of Playa del Carmen visitors are going to Cozumel to practice snorkeling; this may be a little bit odd for many people because the waters in Playa del Carmen look equally clear like the ones in Cozumel. However, there is one thing that makes a huge difference. Namely, in Playa del Carmen, you can find only Cenotes. If you have never heard about this term, you should know that they represent Mayan sinkholes that have no finish or anything interesting to see. It means that it will take hours of snorkeling to spot just a few examples of sea creatures in Playa del Carmen. The situation is much different in Cozumel, and this is the reason why you should take the Ferry over to Cozumel Island and go riviera maya snorkeling there. How is the snorkeling in cozumel from playa del carmen experience? 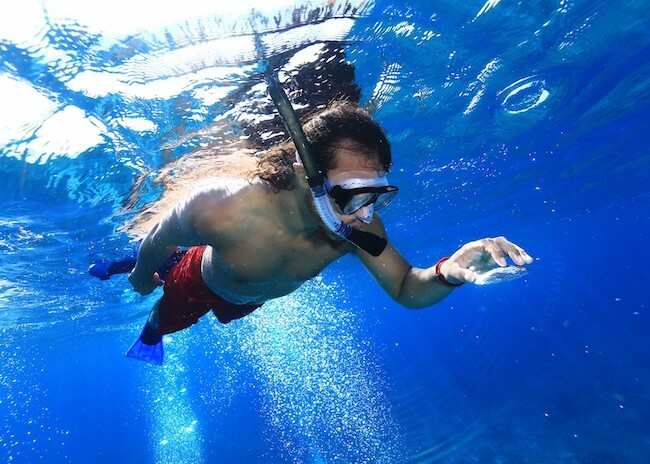 So, if you are a fan of snorkeling or you are interested in trying this activity for the first time, our suggestion is to take a Cozumel snorkeling tour from Playa del Carmen. As we mentioned before, Cozumel is just 30 miles east of Playa del Carmen which means that you can get there in no time. There are ferries nearly every hour in the port, and it takes less than 45 minutes to get there. Once you reach Cozumel, the tour organizer can take you, and your snorkeling adventure in Cozumel can begin. There are a few right snorkeling spots around cozumel, and according to some people, the best ones are in the southwestern part. Of course, there are some other memorable spots on the north and east side. The reefs in Cozumel have very vivid and colorful corals. Also, many marine creatures are waiting for you down there. So, when you are snorkeling in Cozumel, you can see sea creatures like a green sea turtle, hawksbill sea turtle, butterflyfish, hermit crabs, trunkfish, balloonfish, and some eels too. These are just some of the reasons why you should take a Cozumel snorkeling tour from Playa del Carmen.